Mezco proudly unveils one of the initial trio of Mortal Kombat X figures: Sub-Zero. This icy assassin is one of the most cold-blooded of all Mortal Kombat characters , and just like each of the three figures in Mezco's initial wave , is one of the few to be a playable character in every version of the game. To ensure a game accurate likeness, correct to the finest detail, Mezco's award-winning design team has digitally sculpted the figures using the digital files from the game developers themselves. Mezco's 6inch scale version features more than 17 points of articulation, many with ball joints, allowing him to recreate all the moves and poses that have made him part of gaming legend. 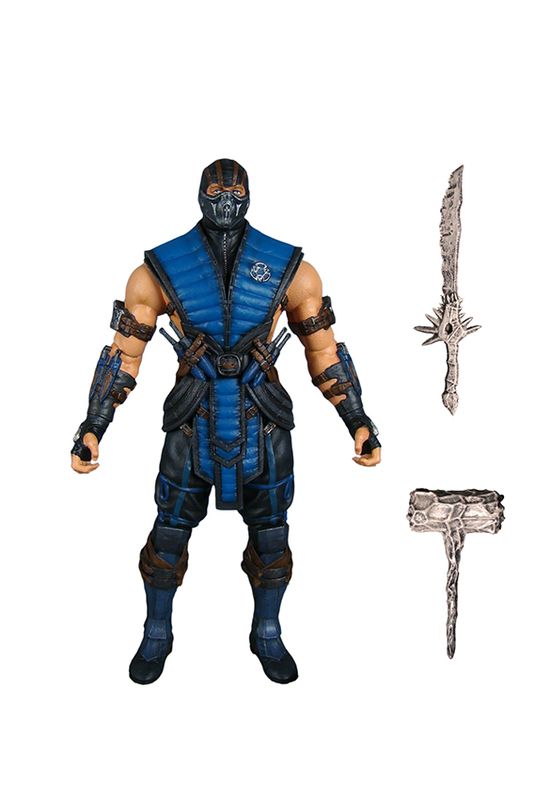 Of course Sub-Zero needs the weapons he is famous for, so he comes complete with his game accurate ice hammer and ice sword. Sub-Zero comes in a collector friendly blister card perfect for display. Coming June 2015 for $22.99.